Trevtex Corporation plans to pay a dividend of $1 per share. Tomorrow is the ex-dividend date, so investors who purchase the stock tomorrow will not receive the dividend. Assume Trevtex is selling for $20.00 per share today and is expected to sell for $19.20 per share tomorrow. Should an investor with a 33 percent marginal tax rate, who is not taxed on capital gains, purchase the stock today and receive the dividend or should the investor wait one day and purchase it without the dividend? Answer: The net cost per share of buying the stock with the dividend is $20 minus $1 for the dividend plus the tax the investor must pay on the imminent dividend. For an investor with a 33 percent marginal tax rate, this net cost is $19.33 per share. Hence, purchasing the stock ex-dividend for $19.20 per share would be preferred to purchasing the stock for $20 per share just prior to the ex-dividend date, which has a net cost of $19.33. However, a tax-exempt investor would prefer to purchase the stock prior to the ex-dividend date since the net cost per share is $19 (= $20 - $1). Example 15.4 illustrates that a $1 dividend may be worth less than $1 because of personal taxes that investors must pay on the dividends. As a result, stock prices will drop by less than the amount of the dividend on the ex-dividend date. For instance, the stock price would fall $0.67 after the payment of a $1.00 dividend if the marginal investor, who would be indifferent between buying either before or after the ex-dividend date, had a 33 percent tax rate on dividends, assuming that there is no tax on capital gains. Empirical Evidence on Price Drops on Ex-Dividend Dates. Elton and Gruber (1970) examined the price movements around the ex-dividend dates of listed stocks from April 1966 to the end of March 1967. They found that, on average, the stock price decline was 77.7 percent of the dividend, implying that shareholders place a value of only slightly more than $0.77 on a dividend of $1.00. The authors also found that the percentage price drop was related to the size of the dividend. For dividends greater than 5 percent of the stock price, the price drop on the ex-dividend date exceeded, on average, 90 percent of the dividend. 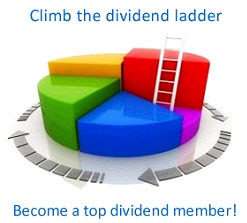 For the smallest dividends, however, the price drop on the ex-dividend date was closer to 50 percent of the dividend. Elton and Gruber interpreted the differential price drop as evidence of the investor clientele effect. Because the marginal investor in a stock with a high dividend yield is likely to have a low marginal tax rate, the after-tax value of the dividend should be relatively close to the amount of the payout. However, the marginal buyer of a stock with a low dividend yield is likely to have a high marginal tax rate and thus will place a much lower value on the dividends. Non-Tax-Based Explanations for the Magnitudes of the Ex-Dividend Date Price Drops. A second explanation for the differential price drop was suggested by Kalay (1982). To understand this explanation, consider first the case where there are no transaction costs. In this case, if the stock price drop was not close to the amount of the dividend, traders would have an opportunity to earn arbitrage profits. In Example 15.4, traders could buy the stock at $20.00, receive the $1.00 dividend, and sell the stock the next day for $19.20. 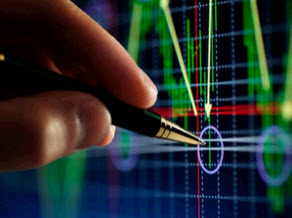 Because the capital loss from the price drop is fully tax deductible at the personal income tax rate for short-term traders, this transaction yields an aftertax as well as a pretax gain. 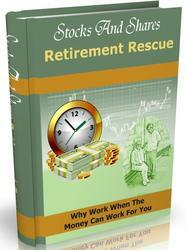 This arbitrage gain will exist as long as the price does not drop by the full amount of the dividend. Consider next the case where there is a $0.10 per share transaction cost. In this case, the price need not drop the full $1.00, but it must drop at least $0.90, or 90 percent of the dividend, to preclude arbitrage. However, on a $0.40 dividend, the price needs to drop only $0.30, or 75 percent of the dividend, to preclude arbitrage. Hence, for smaller dividends, smaller price drops as a percentage of the dividend are needed to preclude arbitrage, which is exactly what Elton and Gruber observed. Consistent with this, if prices are set to preclude arbitrage, then returns on the ex date which include the dividend should be independent of the amount of the dividend. This means that on the margin, a one cent increase in the dividend should lead to a one cent increase in the price drop. A study by Boyd and Jagannathan (1994) found that this was indeed the case.